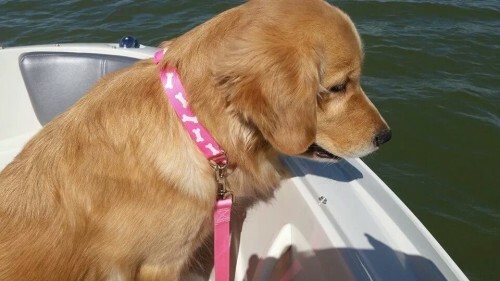 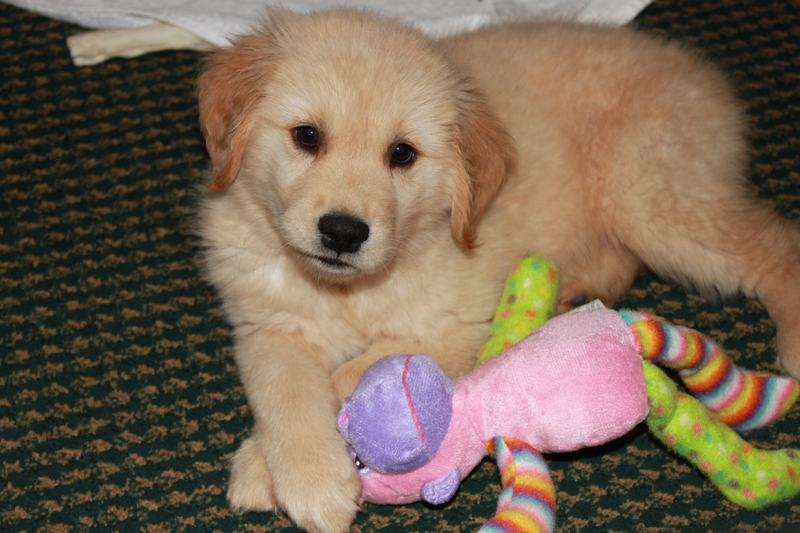 Cali is a native, born here at Golden Angels Kennels. 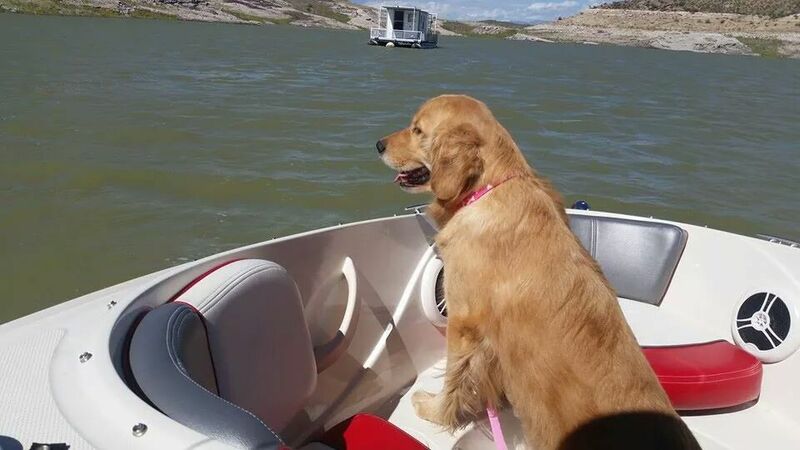 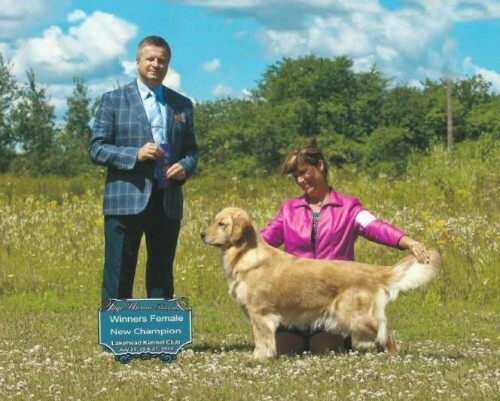 She is from a family of Goldens with numerous Champion titles Her mother is Can Ch Golden Angels Majesty (Jessie) and father is Ch Masters Boys N Their Toys CD BN RE NAP NJP (Henley). 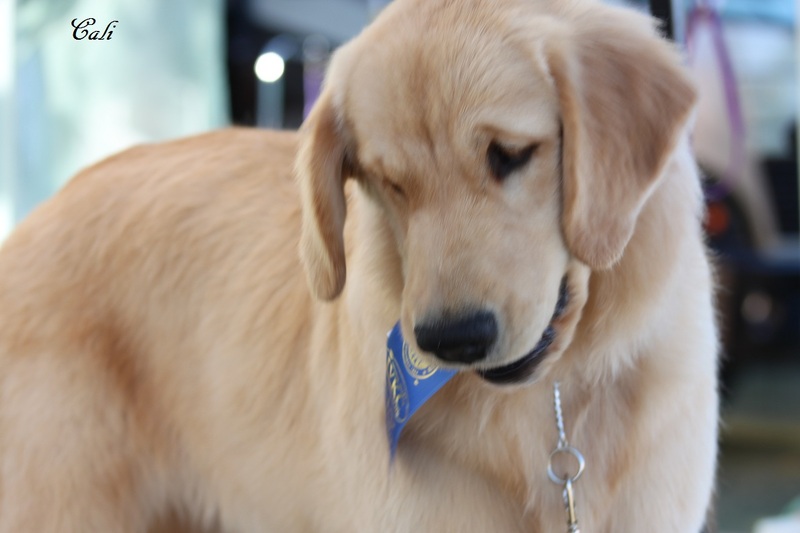 She has begun to make her mark in AKC sanction shows!